Wednesday 23rd April 2014 – Catalyst90 today announced that after continued negotiations it has successfully entered into an agreement to acquire Social Media NZ (SMNZ), an online-based resource dedicated to providing insight and helping New Zealanders stay informed with regards to social media and related technologies. Social Media NZ, which was founded in 2009 by John Lai, and headquartered in Auckland, has experienced strong growth in New Zealand, whilst also expanding its footprint in Asia. The SMNZ brand will continue as a hub of information on social media in New Zealand with John Lai continuing to contribute as an advisor and correspondent based in Asia. 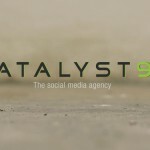 The next phase for SMNZ with the support of Catalyst90 is to further establish the reach of the brand and the education of the market on social media.